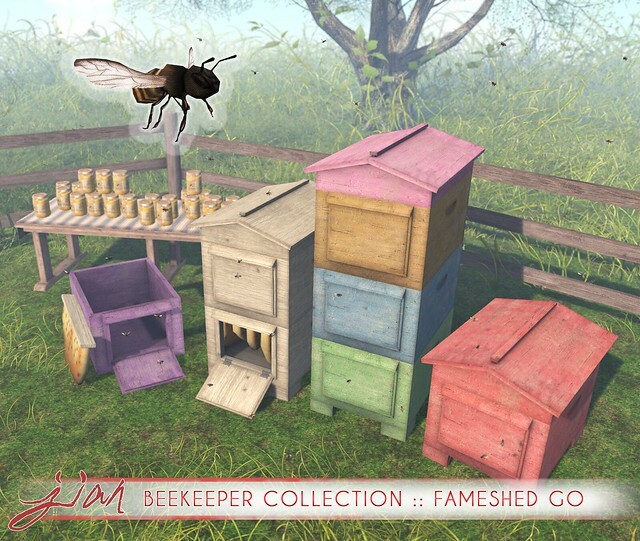 Beekeeper Collection @ our mainstore for FaMESHed GO! That was a mouthful. 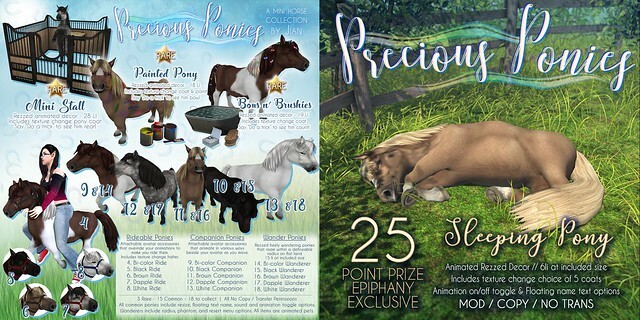 You can get them at our mainstore as part of FaMESHed GO! Click post title or below to 'Read more" and see the rest of this post. Available now @ The Epiphany! We've gotten a few concerned IMs from our customers regarding the E2V shutdown that has been announced. Some of you are concerned about your store credit, others gift cards. Whatever your worry is, here's hoping this next sentence puts you at ease. Because JIAN utilizes a private server for our system, we are unaffected by the E2V shutdown. Your gift cards will work just fine, even after E2V shuts down their own server. Gift cards can still be purchased and redeemed at our store. Your store credit will remain entact. Your purchases made via our system will still be recorded and re-deliverable (if not gacha). Everything will keep on running smoothly for us even after May 31st, 2018. While this is the case for JIAN, it may not be for other stores that utilized E2V as their vending system, so we can only speak for ourselves. You'll need to check with other stores for concerns over your gift cards and more with them. Rest assured also that if and when we make a move to a new vending system, there will be an announcement on this blog and in our in-world update group regarding the move and what, if anything, might be necessary on your part as a customer. But hey, we've got Ashur workin' the thangs and the stuff and he knows what he do. Thank you as always for making us a part of your Second Life! 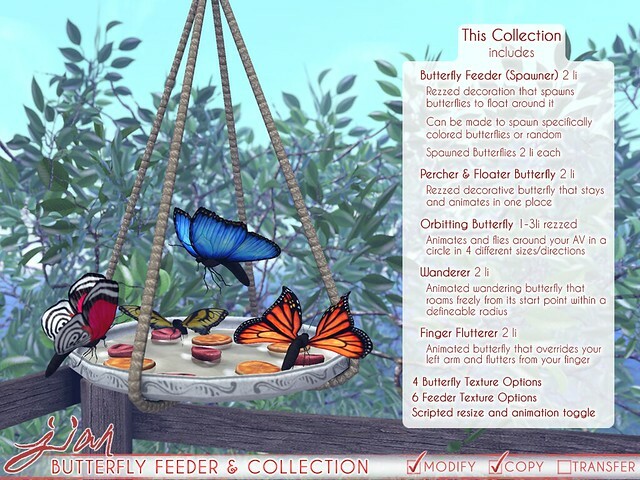 A whole mess of butterflies available now @ FaMESHed!